Many of the patients waiting in rooms and on stretchers in hallways of emergency rooms at QEII Health Sciences Centre are elderly and have chronic health problems and the flu. 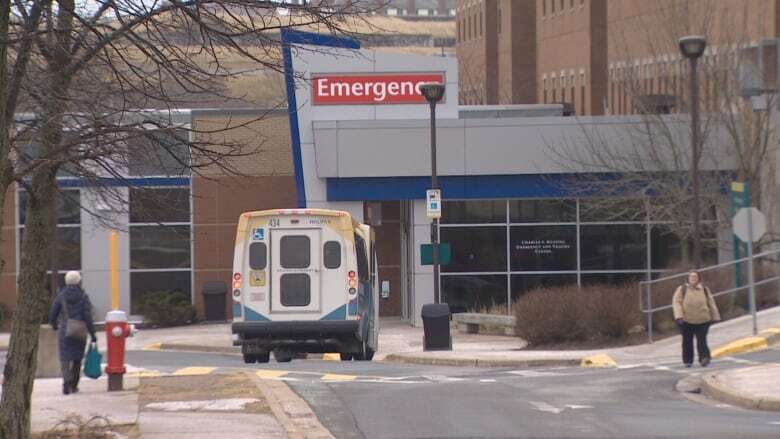 A backlog at the QEII Health Sciences Centre emergency room this week had some patients waiting days to be admitted to hospital, and the provincial health authority says the problem is not limited to Halifax. 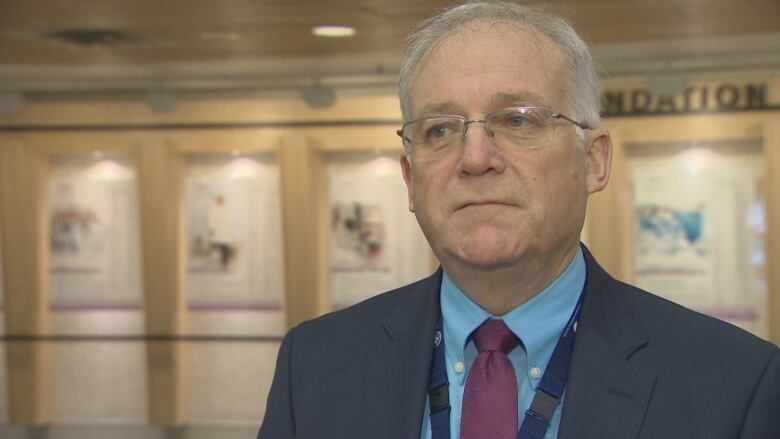 The wait-time problem peaked Wednesday, according to Dr. Mark Taylor, executive medical director for the central zone of the Nova Scotia Health Authority. "On average, I'm guessing — for non-urgent cases — it was probably in the range of 12 to 20 hours, somewhere in there, depending on the particular circumstances of the case. With individual cases, it may well have been longer than that," he said. The emergency room has been getting approximately 220 patients a day, compared with one year ago when the average was 190, he said. Many of the patients are elderly and frail, with problems such as pneumonia, heart issues and the flu. There are 36 beds in the hospital's emergency room. On Wednesday, all of them were full and many patients were waiting on stretchers in hallways. The main problem was the hospital had no available beds on upper floors and so could not admit patients who showed up at the emergency department, Taylor said. "We can deal with patients coming in, but we need to get the patients out. So patients who are ready to go, we have a lot of trouble moving them out into the community," he said. Taylor said one of the reasons for that is that long-term care facilities and nursing homes have had outbreaks of diseases. "When they have an outbreak, they shut down and won't take our discharge patients into the homes, which causes a backup," Taylor said. "So patients back up more in our hospital because we can't move patients out of the hospital." CBC News obtained information that the maximum length of stay for a patient at the QEII's emergency room before being admitted to hospital this week had been as high as 94 hours, or nearly four days. "Unfortunately, it doesn't surprise me," said Taylor when asked about a four-day wait. "It does happen. I don't find it acceptable, but I don't find it surprising. It does happen." 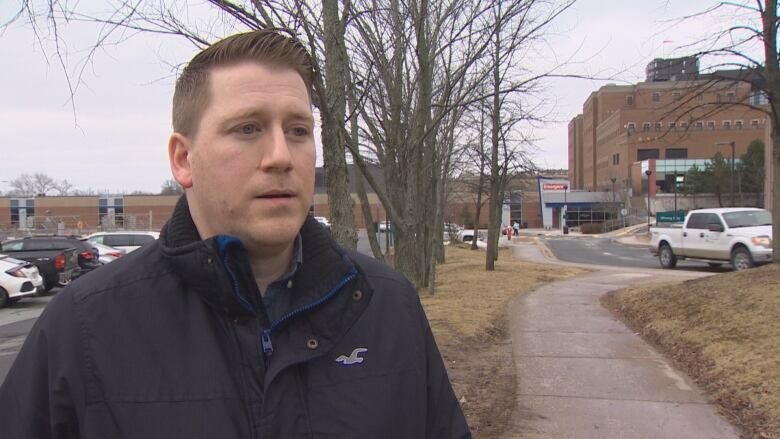 Other hospitals such as the Dartmouth General Hospital, Hants Community Hospital and hospitals in Cape Breton are seeing the same pattern. Taylor said on Wednesday staff made efforts to move patients into areas that were "good enough for patient care" but not ideal. This freed up some room to clear the emergency room backlog. As of Thursday morning, there were nine patients waiting to be admitted to hospital, with a wait time of about four to six hours for patients to be processed through the department. Dustin Rioux spent much of Tuesday and Wednesday waiting with his 83-year-old grandmother in the hospital's emergency room. "Tuesday was really, really bad. Wednesday was a state of emergency in emergency, in my view," he said. Rioux said his grandmother has dementia, and on Tuesday she was found disoriented and lost after she left the home where she lives alone. She was anxious and complained of heart trouble. Rioux waited with her and said many other families were in the same situation. "There was people sleeping on the floor. Seven or eight stretchers down the hallway of emergency with twelve or 14 paramedics looking after them. People were waiting, told 20 plus hours of a wait time," he said. "It was just chaos, I don't know what else to describe it." Rioux, who is also a staff person for the NSGEU, says he hopes the premier and the health minister will visit the emergency room to see what is happening. His grandmother was admitted to hospital on Thursday around 11:30 a.m.
Taylor agreed the lengthy wait times are "not acceptable" and said the health authority has started to talk about finding spots that can be quickly turned into patient care space. He said the health authority does attempt to plan for the busy winter season by preparing more beds and staff. "I think it's something we do work on and it's something that we will probably expand the use of that strategy later on," he said. "The problem is, we don't have a lot of places where you can do that rapidly, where you can open up beds rapidly. But it is a strategy that's important and one that we will try to expand the use of in the future," he said. Health Minister Randy Delorey said the health authority was working hard to solve the problem. He said this year's flu season has been more aggressive, increasing the number of patients seeking help. "I think it's far too simple to suggest there's an individual or organization that is responsible. The fact is, I think, the organizations, the individuals who are assessing the conditions and the risks — particularly the clinical risks — and identifying where the best place is for individual patients at a given point in time, they do take those things into consideration," he said.